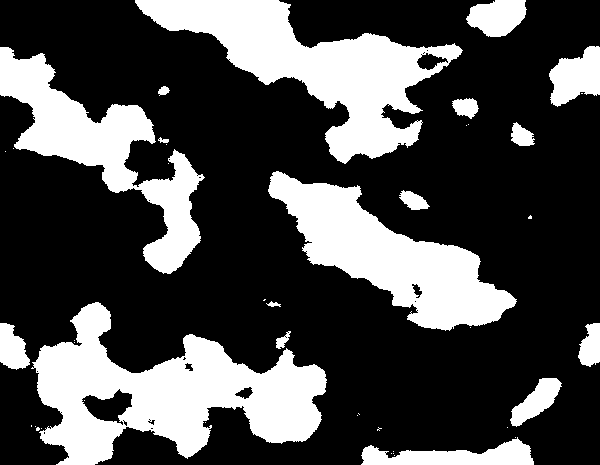 Thus far, I’ve explained the basic premise of SagaSim and described how to generate a basic landscape through fractal noise. Now, it’s time to put that noise to work and create land masses! 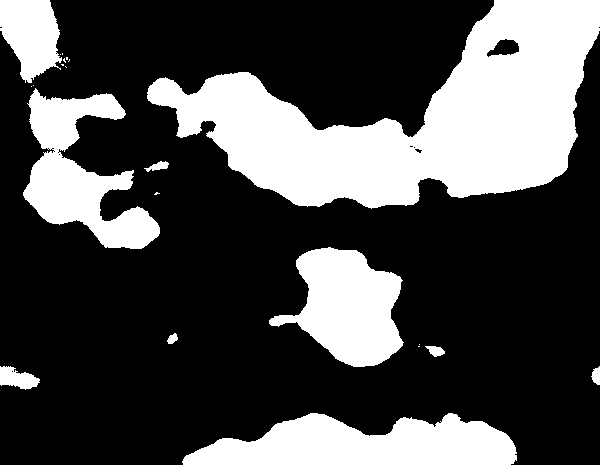 One of the input parameters to the world generator is “water percentage.” Maybe you want a world that’s like Earth, where roughly 70% of the surface is covered by water. Maybe you want much more land, so you go down to 50%. Maybe you want no ocean at all, so you put in 0%. There is no point in putting in 100%, though, since it means no biomes or climate data would be generated (sorry.) Anyway, let’s start with 70%. 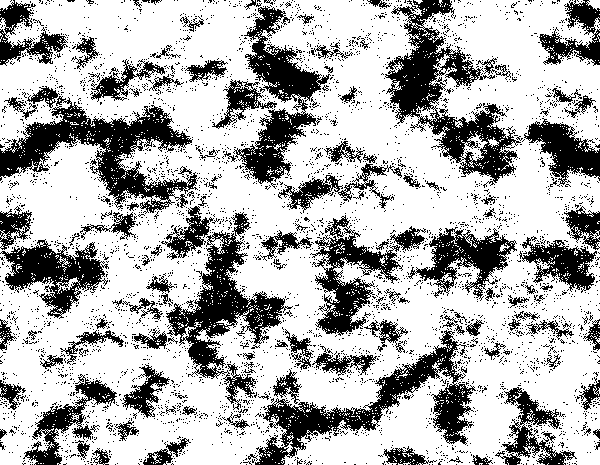 I’m generating a larger map this time, so you can really see the features of the landscape. 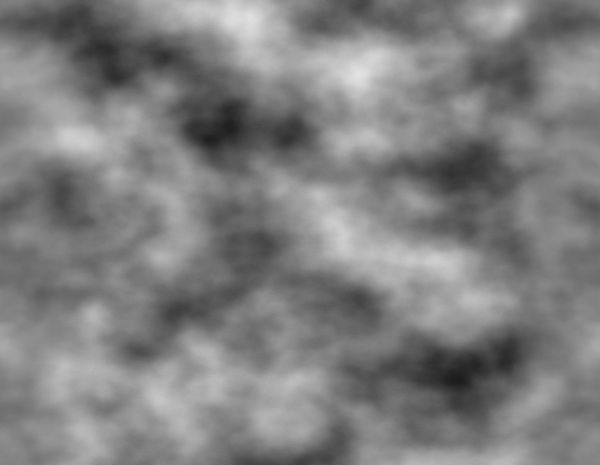 Perlin noise before any additional processing. 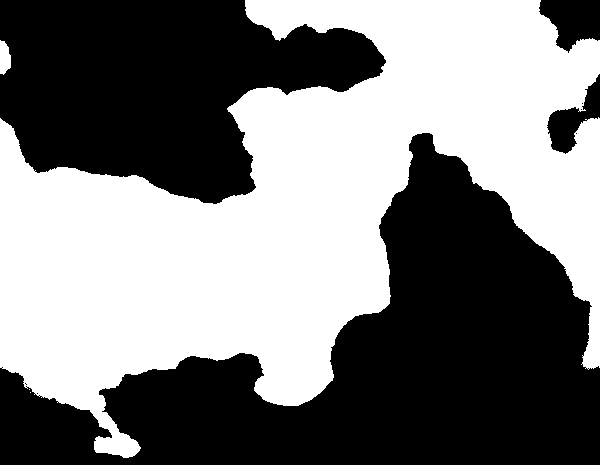 Map after normalizing the sea level. Map converted to water mask. White is land, black is water. Water mask generated from 0.2 persistence, 4 octaves, lacunarity of 8, 70% water coverage. Water mask generated from 0.8 persistence, 8 octaves, lacunarity of 2, 30% water coverage. 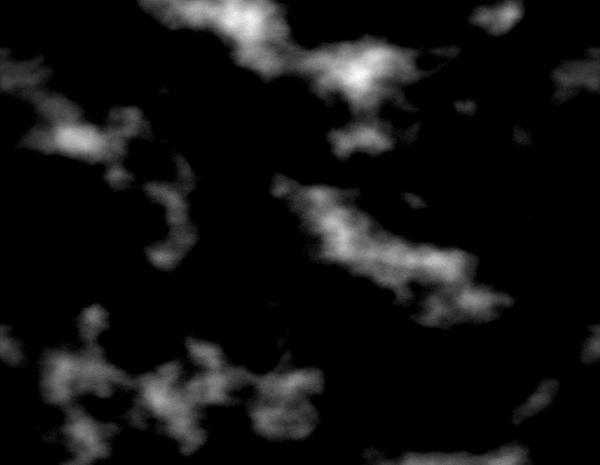 Water mask generated from 0.2 persistence, 4 octaves, lacunarity of 16, 50% water coverage. As you can see, there’s plenty of variety to be had by messing with the world generation parameters. So, now we’ve got our land and oceans set up. Next time, we move on to terrain and climate! This entry was posted in Dev Discussion by gorzek. Bookmark the permalink.